A few years ago, Amber Kanallakan and her husband began to feel God prompting them to grow their family through adoption. 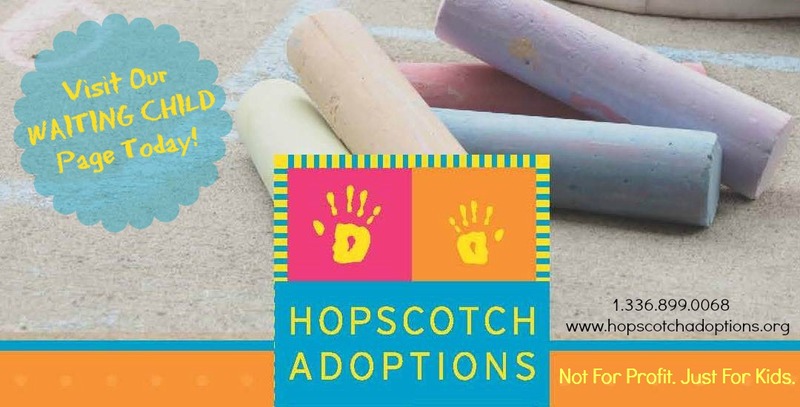 They felt prepared to parent a child with a limb difference and because China has so many children with this particular special need, they applied to Holt’s China program in August of 2013 after holding a garage sale to cover the cost of the application fee. Fearing finances may hold them back from adopting, the Kanallakans started hosting fundraisers and ultimately ended up raising the money to cover 100 percent of the cost of their adoption. Amber and her husband travel in March 2015 to bring their son, Oliver, home from China. Here, they reflect on their journey and give advice to other families considering fundraising to cover adoption costs. When my husband and I began to seriously consider growing our family through international adoption, there were two giant mountains that quickly overshadowed our conversation. When was the “right” time to start the process? How old should our children be before taking on the challenges that come with adoption? Should we wait until my husband’s job is a bit more secure and we are sure we won’t be moving again? I mean, timing is everything, right? The second mountain was the taller and scarier looking of the two. This mountain was called Mount “You Can’t Afford It.” The shadow cast by this taller mountain had the ability to turn the adoption conversation into an argument. The issue of perfect timing could easily be dismissed with a statement like, “When is there ever a “perfect time?” If we let timing alone dictate our decisions, we’d never do anything. The Spirit of God kept prompting and so, in reckless obedience, we said “yes” to starting the international adoption process — the shadow of Mount “You Have No Money, Are You Crazy” still looming. 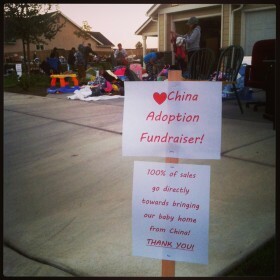 In order to pay the $300 application fee to Holt’s China program, we held a yard sale. Exactly $312 later, our application was submitted and we were on our way. Because I was not yet 30 (the minimum age to submit a dossier to China), we knew we had six months to get the funds to start the homestudy process. We knew we could only have so many yard sales before emptying our house completely, so we began to ask God for other options. My husband is a prosthetist and orthotist, which means he builds legs and arms for amputees, and he is constantly creating and designing. He came home one day with a leather iPhone sleeve he made himself during his lunch break. That night, we had some friends over and one of them noticed the leather sleeve and offered to pay my husband to make him one as well. 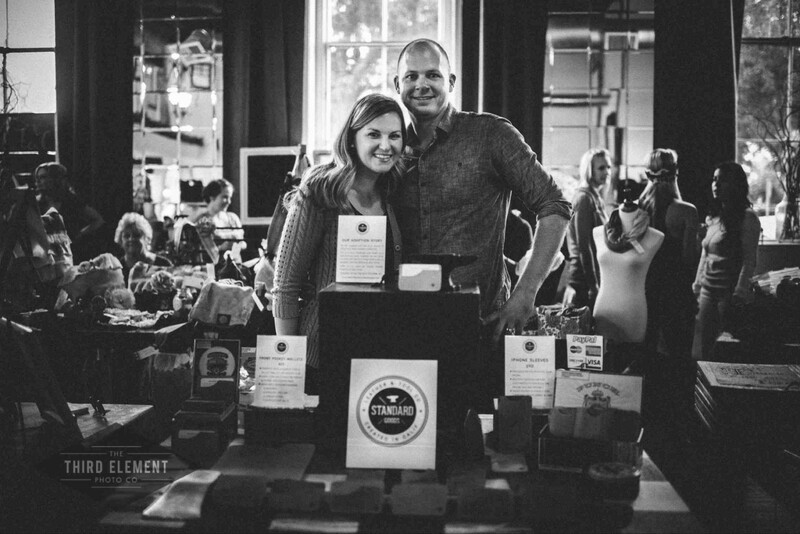 That first transaction birthed a small, home-based and handmade business that funded almost 50 percent of our adoption costs. We made (and still make) leather wallets, clutches, mason jar sleeves and pet leashes at our dining room table after the kids are in bed, and all proceeds have gone toward knocking down that ugly, tall mountain. We were also blessed by our church with a matching grant through Lifesong for Orphans, and were equally blown away by the generosity of friends who gave us money to bring our child home. Over the last year, we worked incredibly hard to raise the $30,000 we needed to get to China. Yard sales, auctions, Etsy shops, holiday boutiques and craft fairs, budgeting, saving our time off for travel … the list goes on and on. My initial hope that the money would just “appear” was quickly replaced by the realization that we would have to work hard to fund our adoption. My husband’s argument that money doesn’t just “appear” was quickly shot down by the dozens of checks that showed up in our mailbox from friends — they cheered us on in our quest to follow God’s calling for our family. 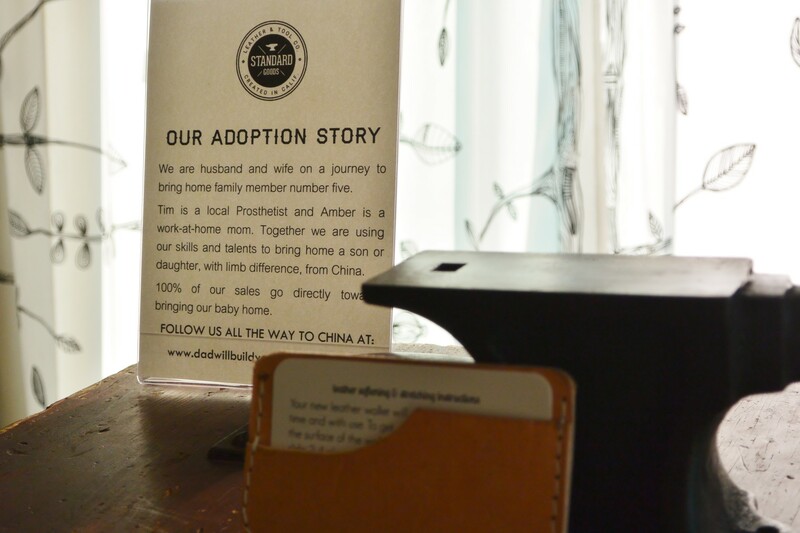 If, on the day we mailed our application fee, someone had told us that we would fund a majority of this adoption by sewing leather wallets and purses, we would have laughed. If someone had said that we would be fully funded before even receiving a referral, again we would not have believed it. God has proven Himself to be our great provider and sustainer. He has made a way where there seemed to be no way. He is the defender of the orphan and the Father to the fatherless and I type these words with a fully funded adoption savings account. When I talk with families who have a heart for international adoption but feel paralyzed in the shadow of Mount “You Can’t Afford It,” I tell them two things. 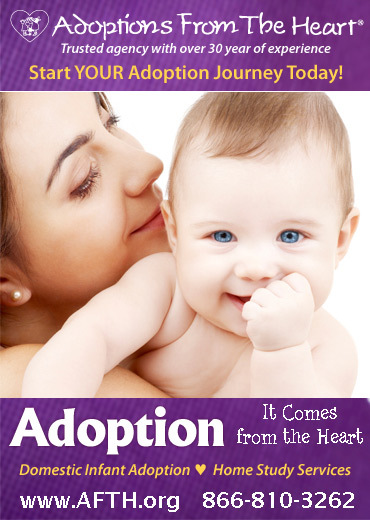 First, fundraising is hard work and if you are going to fundraise for your adoption, buckle up. It is more than possible, but not for the faint of heart. Secondly, God is bigger than the fees and bills and expenses of your adoption adventure. The stories of checks showing up in your mailbox on the day before the invoice is due are true. God is so faithful and He is even more committed to seeing a waiting child come home than you or I could ever be. If He has called you to adopt in a season of a less than overflowing bank account, know that He will provide the funds — and that you will have to work hard. Watching Him pay for our adoption has been one of the most faith-building experiences of our lives. He has bulldozed the mountains and now, with their shadows gone, we are energized by the sunlight as we wait to meet our new family member.